KAUKAUNA, Wis. (Oct. 10, 2013) – MilkSource Genetics’ outstanding cow, Blondin Redman Seisme-Red, has done it again. Seisme has been named International Red and White Cow of the Year by Holstein International, one of the most prestigious honors in the show cow world, for her second time in three years. Seisme also earned the honor in 2011. That adds to a banner year that began in January when Seisme was selected as the Red & White Cattle Association 2012 Red & White Cow of the Year. “With are so many incredible Red & Whites in the industry now, to be chosen as the best of the best is humbling. Jamie Endvick and the entire staff of MilkSource Genetics do a wonderful job with our animals and this demonstrates the commitment they have,” said Jim Ostrom, one of the partners in MSG. 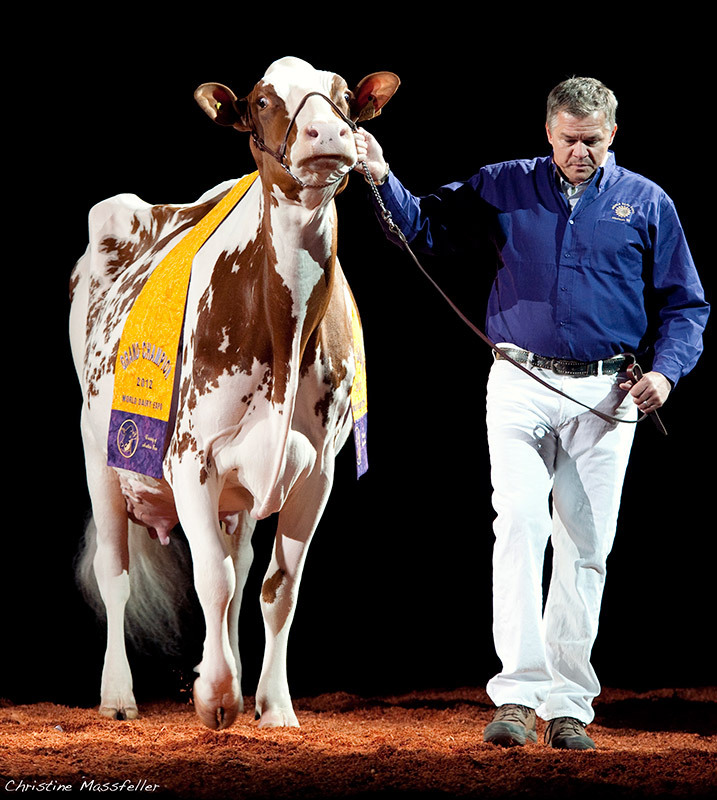 In 2012, Seisme earned the honor as Grand Champion Red & White Female at the Royal Agricultural Winter Fair 2012 in Toronto and was also selected Grand Champion Red & White Female at World Dairy Expo 2012 in Madison, Wis.